From a security perspective, enabling SSL to secure XML and STA traffic from “Storefront servers or Netscalers” to “On-Prem Delivery Controllers or On-Prem Cloud connectors” is a task that should be taking in consideration by everyone working with securing a Citrix infrastructure. 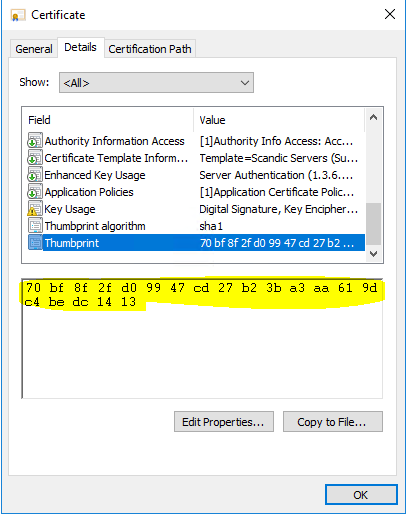 In this case we are going to focus on how to enable SSL on Citrix Cloud Connectors. I suppose you already have a certificate (PFX format) in place (wildcard or a SAN certificate that includes all FQDN:s of your Citrix Cloud Connectors). Start by installing the certificate on all your Citrix Cloud Connectors. When that is done and everything looks alright we will use a built-in utility called “netsh” allows us bind an SSL certificate to a specific port on the windows-based Could Connectors.